The political and economic scene has severely changed ever since Mubarak was forced out of power, and so have the forecasts and outlooks. Voting starts in Egypt on May 23-24 in what will be the country's first democratic election to choose a new president after Hosni Mubarak was swept from office last year in a popular uprising. -- THE POLITICS: The presidential race is the last step before the ruling generals, who took charge after Mubarak was ousted, hand power by July 1 to the new president. -- Egypt has already held a parliamentary vote in which Islamists swept a majority of seats. Yet, even with these elected institutions in place, analysts say the army will hold a big sway over Egypt's politics for years, long after the formal power transfer. -- None of the 13 presidential candidates is expected to win outright in the first round of the presidential vote, setting the stage for a second round run-off in June. Former Arab League chief Amr Moussa and Islamist candidate Abdel Moneim Abol Fotouh are viewed as the two front-runners. The Muslim Brotherhood's Mohamed Mursi has trailed in polls, but could still prove a serious challenger with the Islamist group's network of supporters behind him. Abol Fotouh emerged as the leading Islamist candidate after ultra-conservative Salafis backed him. -- THE ECONOMY: The uprising led to a prolonged stock market closure and a drop in tourism receipts. The global economic slowdown had already cut foreign direct investment by 50 percent from 2009 to 2010, to average $3.7 billion, or under 1 percent of GDP. But in 2011 it collapsed to only $0.9 billion. -- RESERVES: Egypt's foreign reserves held steady last month for the first time since the uprising, indicating a partial recovery in tourism and a slowdown in capital outflows after more than a year of economic turmoil. Foreign reserves, at $36 billion before the uprising, had fallen to $15.21 billion by the end of April, data showed this month. -- GROWTH: The World Bank forecasts growth at 2.5 percent for 2012 and 3.5 percent for 2013. Downward risks are significant due to the euro sovereign debt crisis and uncertainty over the presidential election result. -- UNEMPLOYMENT: Unemployment is expected to remain around 12 percent. -- IMF: Parliament overwhelmingly rejected the army-appointed cabinet's plan to cut state spending, complicating the government's efforts to secure a $3.2 billion loan from the IMF to help to fight the balance of payments crisis. Egypt and the IMF have been in discussions over the loan program, which Egypt requested earlier this year but which was opposed by the Muslim Brotherhood's Freedom and Justice Party. -- DEVELOPMENT: The economy and living standards for the vast majority of the population improved over the last decade, although unevenly. While 22 percent of Egypt's population still lives below the national poverty line, this figure goes up to 43.7 percent in rural Upper Egypt. An additional 20 percent of the population has experienced poverty at one point during the last decade, heightening a sense of social vulnerability. Ranking for ease of doing business: 110 out of 183 countries, down two from 2011, where No. 1 is the best. Human development index ranking: 113 out of 187 countries in the 2011 Human Development Index, slipping 12 spots from its 101 ranking in 2010. Life expectancy at birth has risen to 73.2 in 2011 from 56.2 in 1980. Corruption ranking: 112 in Transparency International's 2011 Corruption Perceptions Index along with Algeria, Kosovo, Moldova, Senegal and Vietnam out of 183 countries and territories. 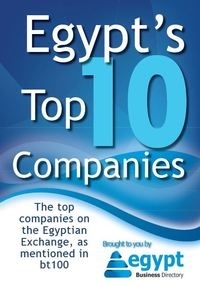 Egypt was ranked 98 in 2010.